New installations of renewable energy overtook conventional power for the first time in 2015, the Paris-based International Energy Agency said in its Medium-Term Renewable Energy Market Report. With the global green power rising by a record 153 gigawatts, equivalent to 55 percent of newly installed capacity last year, the total installed capacity exceeded coal for the first time. 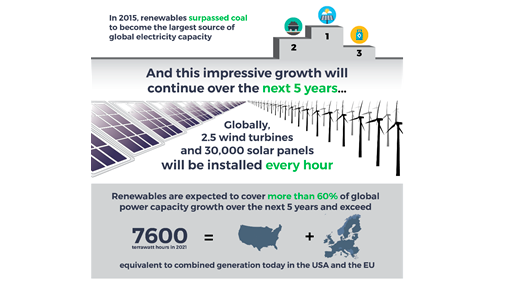 Renewables will be the world’s fastest-growing source of electricity over the next five years. The International Energy Agency (IEA) says in its latest edition of Medium-Term Renewable Market Report that in 2015, renewables accounted for more than half of the increase in installed power capacity. The milestone was evidence of a rapid transformation in energy taking place. The report predicts capacity from renewable sources will grow faster than oil, gas, coal or nuclear power in the next five years. Renewables will grow mostly due to stronger policy backing in the United States, China, India and Mexico. Last year marked a turning point for renewables. A total of 153GW of net renewable electricity capacity was installed globally in 2015, a record high, equivalent to Canada’s capacity and up 15% on the year before. Net capacity is new capacity minus retired capacity, such as old hydro being taken offline. Generation from renewables is expected to exceed 7600 TWh by 2021 – equivalent to the total electricity generation of the U.S. and the European Union (EU) put together today. It is important to note that at this stage it is the capacity to generate power that has overtaken coal, rather than the amount of electricity actually produced. 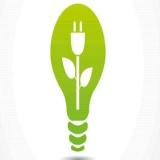 A power plant’s capacity is the maximum amount of electricity it can potentially produce. The amount of energy a plant actually generates varies according to how long it produces power over a period of time. Renewables are intermittent - they depend on the sun shining or the wind blowing, for example, unlike coal which can generate electricity 24 hours a day all year round. 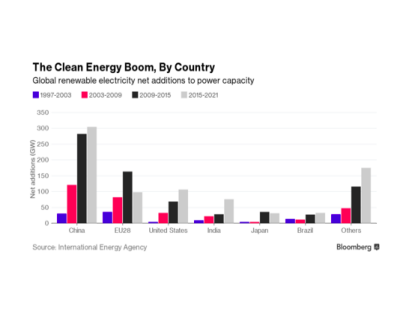 So renewable technologies inevitably generate a lot less than their capacity. Thus, green sources are only expected to provide 28% of electricity generation by 2021, up from 23% in 2015. Note: The IEA is a Paris-based autonomous intergovernmental organization established in the framework of the Organisation for Economic Co-operation and Development (OECD) in 1974 in the wake of the 1973 oil crisis. The IEA acts as a policy adviser to its member states, but also works with non-member countries, especially China, India, and Russia. It has a broad role in promoting alternate energy sources (including renewable energy), rational energy policies, and multinational energy technology co-operation. Why are renewables being invested in? Renewable energy sources, such as wind, solar and hydro are seen by scores of countries as a key way to meet climate targets that they have pledged under the Paris agreement, which comes into force in November. While climate change mitigation is a powerful driver for renewables, it is not the only one. In many countries, cutting deadly air pollution and diversifying energy supplies to improve energy security play an equally strong role in growing low-carbon energy sources, especially in emerging Asia, the agency notes. This has led to many government policies that have been providing financial incentives for using renewable power sources. The United States, for example, has extended tax credits. China, India and Mexico are also deploying or considering such incentives. 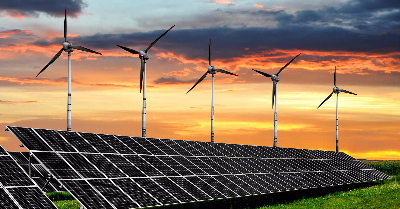 Supporting the policy initiatives of the government are the declining costs, thanks to technology advances and increased competition, which have led to renewed interest for investing in renewable energy. Their costs are expected to continue the dramatic and unprecedented reductions in recent years; particularly, onshore wind coming down a further 15% and big solar 25% by 2021. When do we see reasons to be cautious? Even though 2015 was an exceptional year, the IEA says there are still grounds for caution. Policy uncertainty persists in too many countries, slowing down the pace of investments. Investors need to see what their long term prospects are. This is the main challenge for the renewable energy sector. 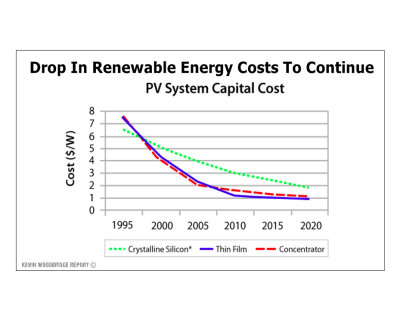 Rapid progress in variable renewables, such as wind and solar photo-voltaic (PV), is also worsening system integration issues in a number of markets, and the cost of financing remains a barrier in many developing countries. And finally, the progress in renewable growth in the heat and transport sectors remains slow, mainly due to low oil prices, and needs significantly stronger policy efforts. Although the report does point to a much bigger role for renewables than seemed likely very recently, it still thinks there's a need for more. Mr Birol, executive director of the IEA, said: "even these higher expectations remain modest compared with the huge untapped potential of renewables". The IEA said even this leap in installed capacity of renewables will not be sufficient to meet the Paris deal’s target of keeping temperatures below 2C, the threshold for dangerous warming. The IEA says that international targets for limiting climate change will "require stronger decarbonisation rates [which means the replacement of fossil fuels] and accelerated penetration of renewables in all three sectors: power, transport and heat". Where are the drivers of renewable energy growth? Onshore windfarms and solar power led the charge last year, with 63GW and 49GW of new global capacity respectively. 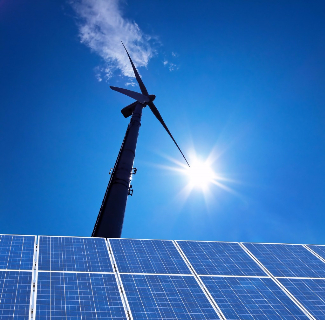 The two technologies are also forecast to take the lion’s share of about three quarters of growth, with electricity generation from solar tripling and wind doubling. The cost of wind dropped by about one third in the last five to six years, and that of solar dropped by a huge 80%. Their costs are expected to continue the dramatic and unprecedented reductions in recent years. 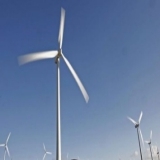 Recent tender offers for projects also indicate that offshore wind prices could drop by 40% to 50% over the next five years as technology improves, economies of scale improve and developers and financial institutions cultivate their collective tribal wisdom in projects in Europe, North America and North Africa. While solar photovoltaics and onshore wind will account for 75% of the total renewable capacity increase through 2021, they aren’t the complete story. Renewable heat from solar thermal technology, biomass, biogas and/or geothermal will scale significantly from a small base. Overall, renewable heat will grow by 21% in the forecast period and account for 10% of heat energy by 2021.
Who is leading the renewable energy growth? The IEA said Asia will be the “engine of growth”, led by China and India. China is expected to add a further 305 GW of renewable power capacity over the next five years, followed by India with 76 GW. China, the report says, "remains the undisputable global leader of renewable energy expansion, representing close to 40% of growth". China accounted for about half of the wind additions with two wind turbines installed every hour in 2015. China is followed by the US and Europe. The U.S. government’s solar and onshore wind tax-credit extension supported the industry. 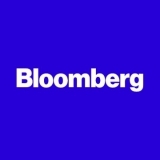 Even as the U.S. market initially slowed, with developers no longer rushing to close projects in time for the subsidy, the IEA expects it to have the second-largest global growth rate with a 50 percent increase in capacity over the forecast period ending in 2021. The EU is expected to increase its installed renewables by 21 percent in the medium-term, down from 62 percent over the past six years. The IEA said the EU was relinquishing its position as a renewable energy pioneer due to weak electricity demand and policy uncertainty. While China alone is responsible for 40% of global renewable power growth, it only represents half of the country’s electricity demand increase. The agency says this is in sharp contrast with the EU, Japan and the U.S., where additional renewable generation will outpace electricity demand growth between 2015 and 2021. How is India forecasted to perform? 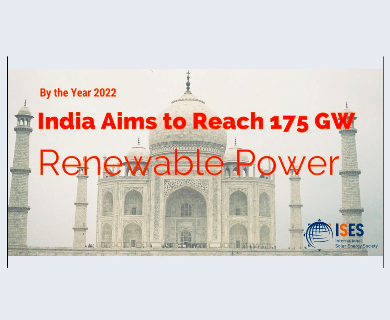 The share of renewables in India's power generation is expected to touch 19 percent in 2021 from 16 percent in 2015 as the country has set a more optimistic target of having a 175-gigawatt renewable capacity by 2022. "Onshore wind is expected to expand by 25 GW over the medium term thanks to a strong project pipeline, new supportive policies to encourage the repowering of old sites, and the announcement of wind auctions to develop 1 GW of capacity that should drive additional growth after 2018," the IEA report said. Hydropower capacity is expected to expand by over 10 GW alongside solar PV and onshore wind, driven by the government's 5 GW small hydropower target by 2022. The increasing policy focus on small hydropower should partly offset delays in large-scale hydropower projects due to increasing environmental concerns. According to IEA, the scaling back of AD (accelerated depreciation) tax policy in India - which reduces the tax liability for profitable companies - from 80 percent to 40 percent, which will come into effect at the end of fiscal year (FY) 2016, and the pace of implementation of recently announced wind auctions remain forecast uncertainties. The weak grid infrastructure in India is also seen as posing challenges to renewable deployment over the medium term. 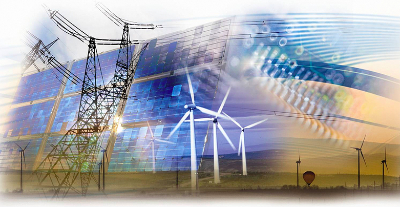 However, the grid integration of variable renewables remains an important focus of the government with its green corridor program and the national smart-grid mission.